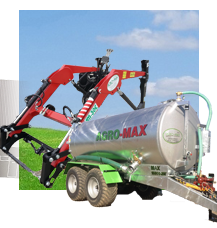 The AGRO-MAX company localized in Zuromin, operates in the agricultural machinery and equipment market since 2004. In the first stage of operation the company was developing production of machines such as bale wrapper, front - end loader and fertilizer spreaders. From 2009 the company started production and sales of slurry tankers. With a strong group of sales representatives and a network of distributors, supported by professionals in the field of agricultural machinery, AGRO-MAX was able to climb up to the top place in Poland in the production of agricultural machinery, equipment and slurry tankers. The strength of the company is, without a doubt, the realization of individual orders. 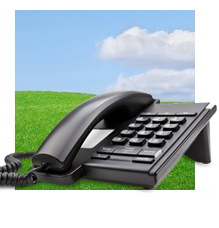 The company is able quickly respond to the most demanding requests. 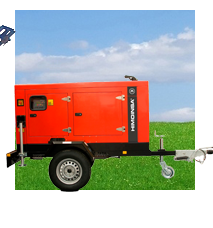 Based on the assumptions used in the Quality Management System compliant with PN-EN ISO 9001 AGRO-MAX, as a manufacturer of agricultural machinery, is committed to continuous improvement of product quality and customer service, which is a fundamental principle of our daily business operation and future-oriented development. We focus on innovative technologies, solutions based on machining precision, all to achieve even more durable products with highest quality. 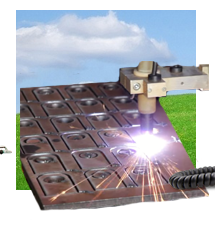 We undertake new challenges, new projects so that our offer is constantly enriched with modern machines and high-quality customer service. 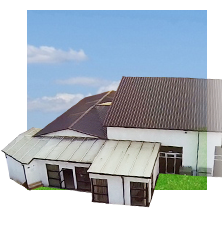 At this we base our today's operations and future-oriented development of the company.